We're in the middle of a documentary renaissance. Documentary stories are being told in cinemas, on TV, in galleries, on tablets and on mobile phones. On this course you'll learn about the technology that's bringing improvements in documentary making, understand the ethical challenges that documentarians face, and face questions of authorship and authenticity. 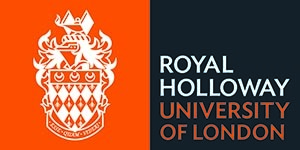 At Royal Holloway we nurture creative and challenging Filmmakers. The course offers a launch pad for outstanding careers in a growing field of filmmaking.